U.S. Rep. Bill Foster's endorsement of fellow Democrat Nancy Pelosi for speaker of the House only weeks after publicly opposing the idea is what Foster is always going to do—what the party tells him—his opponent in the general election said during a recent interview. "It's classic, you know," Nick Stella said during a DuPage Policy Journal telephone interview. "There was a point in time when Bill Foster wasn't a politician. He likes to still say that he's a scientist. Bill is no longer a scientist; he's a typical politician and this is what happens when you elect politicians. This is the problem that we have in our government right now: We keep electing politicians instead of getting rid of politicians and bringing in true outsiders." Foster's about-face over Pelosi's speakership is an example of what the lack of "true outsiders" inside the Beltway is doing to the nation, Stella said. "That's why I ran, the thought of bringing people to help run the government who are not politicians, who had never held an office before," he said. 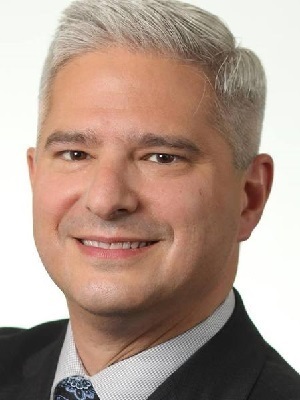 Stella, a Darien cardiologist, became the Republican nominee during primary elections in March of last year and headed into November in a hard run against Foster, who was seeking a fourth term in Illinois's 11th Congressional District seat. The 11th District covers parts of Cook, DuPage, Kane, Kendall and Will counties. Foster won that new term, defeating Stella with 64 percent of the vote. "Bill got elected; he beat me quite handily," Stella said. "And yet he's going to tell you what you want to hear. You can give him your vote and then he's going to do what he wants anyway." For a short time, Foster appeared not to favor Pelosi as speaker of the House. A few weeks after the election, he became one of 16 House Democrats to publicly come out against Pelosi being handed the speaker's gavel in the 116th Congress. A few weeks later, Foster endorsed Pelosi's bid for speaker. "I am confident that the agreement we reached will position the Democratic Party to successfully lead in next Congress and for generations to come," Foster said in a statement issued Dec. 12. "As a businessman, I know that a transition plan is critical for any institution. 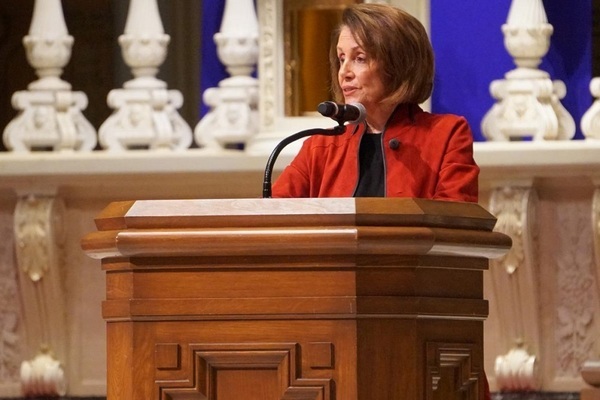 Leader Pelosi has signaled her commitment to transfer her knowledge and experience to the next generation of leaders so that they may effectively lead the Party into a new era. As we take the Majority in the new year, Democratic unity will be an invaluable force as we join together to fight for hardworking Americans and for an economy that works for everyone." The public about-face says a great deal about Foster, Stella said. "It says a lot about integrity, doesn't it?" he said. "Look up the definition of the word, I think this is the antithesis of integrity." And yet, Foster's action is not too surprising, Stella said. "I understand that in politics things do change. I fully realize that," he said. "This is something that is quite simple. You make a promise to people that you're not going to vote for someone for speaker and then you do. Well, what changed? I don't think there was much of a change other than Bill has done what Bill has done from the time he was elected, which is he does what the party tells him to do." Foster's action also is an example of why there should be term limits in the U.S. Congress, Stella said. "We have term limits on the presidency, why don't we have term limits on our senators and our congressmen?" he said. "It's absolutely ridiculous, because this is what happens." Stella also challenged Pelosi to bring term limits up for a vote in the House. "Let's do a vote on it," he said. "I know the vote will fail, but at least the American public can see that their congressmen will vote against it. And maybe then the American public will wake up and start voting their congressmen out of office."